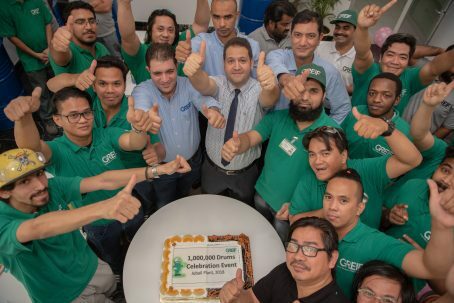 Industrial packaging specialist Greif shipped its one millionth steel drum from its newly opened facility in Jubail, Kingdom of Saudi Arabia, last month (August). Greif’s plant in Jubail is capable of manufacturing tight head and open head steel drums with or without internal coatings and gauges ranging from 0.8mm to 1.2mm. These drums can be supplied using tailor-made solutions that allow automatic loading onto chemical filling lines. The facility is strategically located in close proximity to major customers allowing for 24-hour, 7-days per week operations and supply, providing potential operational efficiencies for these customers. Greif’s Jubail plant is a specialist supplier to the chemical sector in the Kingdom of Saudi Arabia and other GCC countries.